1. Annapolis Coin Exchange in Annapolis is a thirty-two year old shop that employs professional numismatists will provides free estimates. This shop offers gold coins for sale. 2. Frederick Coin Exchange located in St. Frederick offers expert knowledge on how to buy gold, and consistently gives the highest prices on your rare and precious coins. With over sixty years of combined experience, you will find that this reputable firm values your privacy, is a member of the American Numismatic Association and serves the greater Atlantic seaboard area. 3. 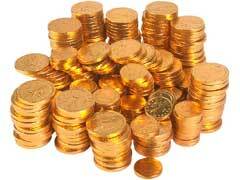 Coins of the Realm, Inc., established in 1974 is still under its original ownership. This is not a franchise gold coin dealer in Maryland and can give personal as well as accurate information when determining buying or selling precious metals. 4. Bonanza Coins is a forty-year old enterprise managed by Julian M. Leadsman who is one of the renowned coin dealers in Maryland. This enterprise is located in Silver Springs and specializes in rare coins and currency collections as well as tokens and medals worldwide. 5. Atlantic Precious Metals specializes in first time buyers and sellers of gold and silver. This dealer is new to the Maryland market but sells only gold and silver bullion and bars that are certified by the U.S. Mint. 6. Genuine Gold, LLC is a Better Business Bureau accredited establishment and gives customers in Owings Mills assurance that there are no high level complaints against any dealings with this company. 7. Gainesville Coins advertises themselves as one of main source coin dealers in Maryland and offers customers extreme satisfaction as well as the highest quality precious metals for buying or selling. 8. The Reeded Edge, Inc. in Cumberland is a premier coin shop that has developed fine coin collections that include The Bust Dollar Collections and a PCGS registry of Morgan Dollars. 9. Gold coin dealers can be found at Gaithersburg Coin Exchange, Inc. which conducts business via mail as well as in their showroom that features bullion, certified and raw coins as well as books and suppliers for the collector. 10. Gold coin dealers in NJ also serve the Maryland area. American Coin & Stamp Co., Inc. is just across the Maryland border and offers rare gold and silver coins.